Hello Queen’s! It’s our favorite time of the year… T-ara’s comeback! We’re going all out for this comeback. 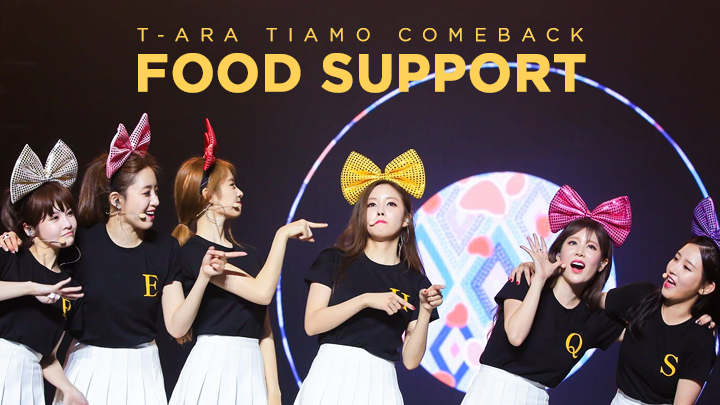 As usual, we will help Queen’s buy T-ara’s music on MelOn, we as well have a special video project that we implore everyone to join, and of course, a food support! The food support will be arranged with our friends, T-aradotcom. Our goal is $200; the deadline is Novembre 11th. If you wish to become part of this project, please head on over to our Donation Tracker and leave a donation! Donations will go towards purchasing and preparing the different assets required in making this project happen. Any extra donations will go towards our future goals and projects as well as maintenance fees to keep Diadem alive. An important note: a new law has recently been passed in Korea, placing tight restrictions upon fan support. As such, we may possible not recieve a proof shot of the food support as we usually do. We’ll do our best nonetheless! Diadem Video Project Giveaway! 3 MelOn Subscriptions and $30 Diadem Shop Coupon!